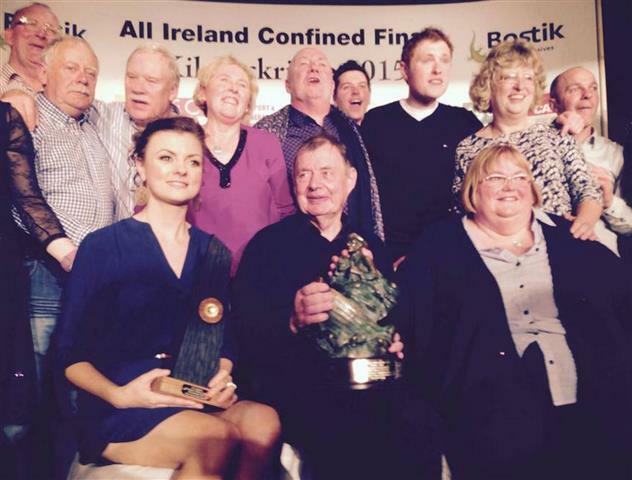 Well done to Kilrush Drama Group who won the ADCI Confined All-Ireland final last night in Kilmuckridge. 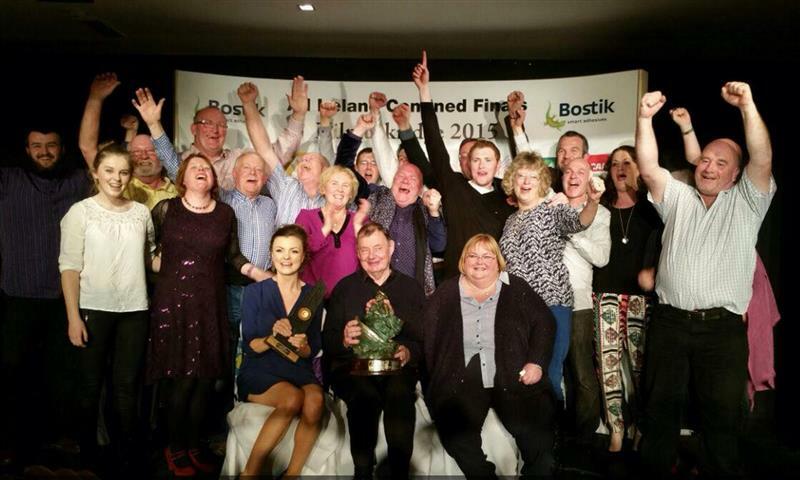 Link to Kilrush DG Facebook here. 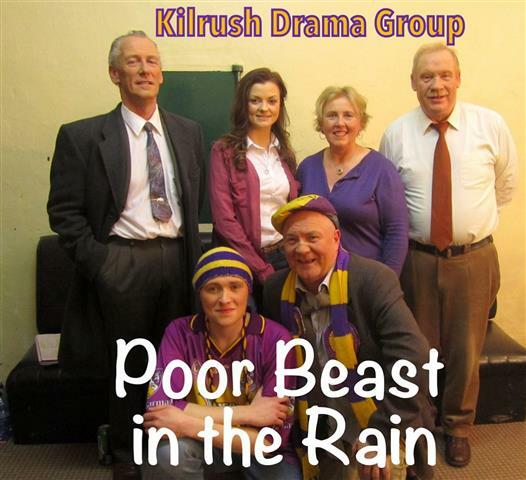 Kilrush Drama Group will hold a TABLE QUIZ in Kenny’s, Carnew tonight, Friday 5th October at 9p.m. €20 per team of 4. Please come along to support and for an enjoyable night out. 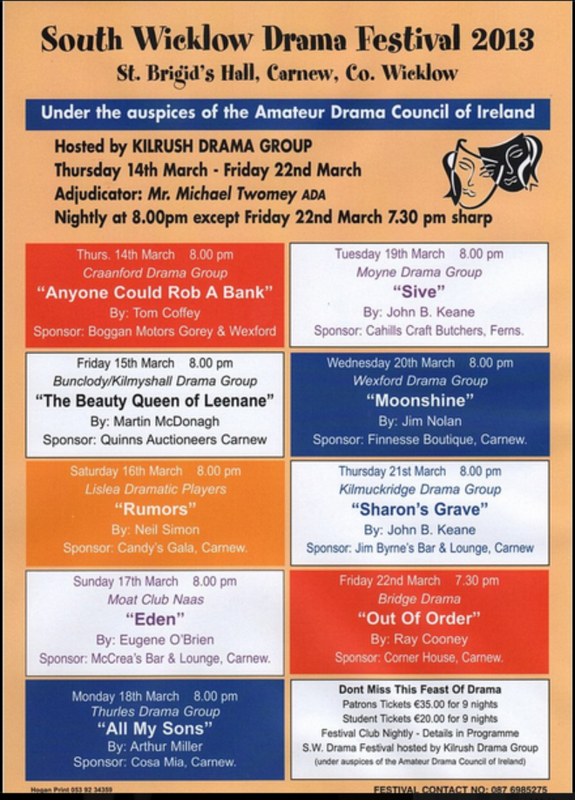 Kilrush Drama Group have once again chosen a Martin McDonagh play as their festival play. The Lonesome West is written in typical McDonagh style and is one of his funniest plays, coupled of course with some underlying dark and sad moments, all captured excellently by director Mick Byrne. The Lonesome West is part of McDonagh’s Connemara trilogy, which includes The Beauty Queen of Leenane and A Skull in Connemara. 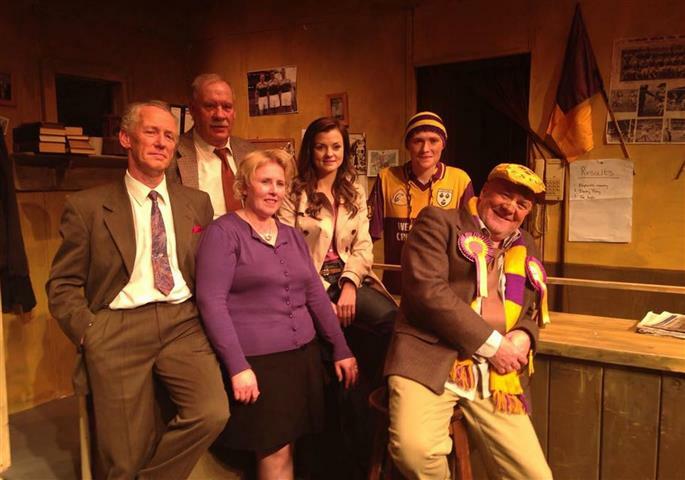 All three plays depict the shocking and murderous goings-on in Leenane, Co. Galway. The play features the constantly arguing brothers Coleman (played by Michael Dunbar) and Valene, (played by Joe Sinnott) whose father has just died in a shotgun ‘accident.’ Valene is only interested in his religious ornaments, and drinking poteen. Coleman is only interested in eating, and attends funerals to collect free sausage rolls and vol au vents. The other two characters in the play are Fr. Welsh (Brendan Doyle) and Girleen (a young girl played by Ellie Condren) who are frequent visitors at the brothers’ home. Ger Byrne has taken on the onerous task of stage manager for this production, while Kevin McEvoy will do the lighting. Jacinta Kavanagh is in charge of costumes and Lorna Doran is set to do the makeup. 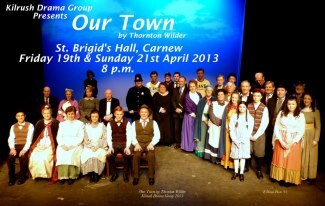 All four actors in this play have represented Kilrush Drama Group in All-Ireland Drama Finals over the last number of years under the direction of Mick Byrne, so don’t miss their first performance of this year’s production in St. Brigid’s Hall, Carnew on Friday 17th and Sunday 19th of February, 2012. Admission: €10.00 As The Lonesome West is on the Leaving Cert syllabus for this year, there will be a special group rate for groups of over 10 students (booked in advance). Contact Mary on 087 9323990 for further information on this.